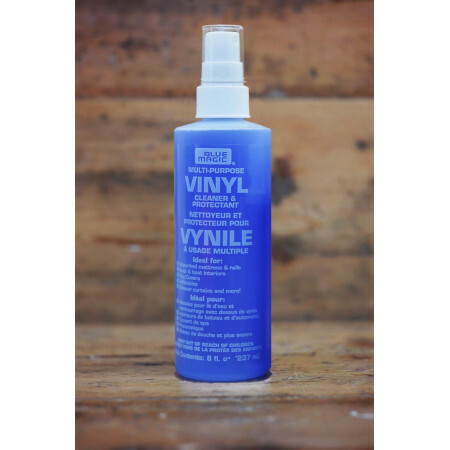 Vinyl cleaner, cleans and freshens the surface of the vinyl mattress. The dust that would otherwise go into a conventional mattress and feed dust mites settles on the water bed mattress. This should be cleaned regularly with vinyl cleaner because the dust contains body acids that are harmful to the PVC. For this reason a waterbed is the most hygienic sleeping surface available.